BMW unveiled the racing version of its yet-to-be-revealed 8-Series coupe during September’s 2017 Frankfurt auto show. The version shown was the M8 GTE, BMW’s entry for the World Endurance Championship which includes the famous 24 Hours of Le Mans. That’s right, folks. BMW is returning to Le Mans. An M8 GT Le Mans (GTLM) race car is also in the works, in this case for the IMSA WeatherTech Sportscar Championship, where it will replace the previous M6-based race car. 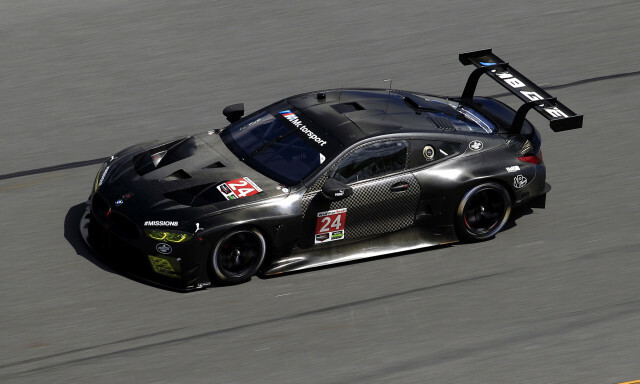 Here we see it during the past weekend’s public test at Daytona International Speedway in preparation for the competition debut next month in the 2018 24 Hours of Daytona. A private test had already taken place at Homestead Miami Speedway last week. On both occasions, the car was supervised by BMW Team RLL, which will be fielding it throughout the 2018 season. John Edwards and Connor De Phillippi took to the wheel at Daytona while Martin Tomczyk drove it at Homestead. Power in both the M8 GTLM and M8 GTE race cars comes from a new 4.0-liter twin-turbocharged V-8. BMW says the engine has been derived from the 4.4-liter mill found in road cars like the latest M5. It develops a nominal base output of more than 500 horsepower, depending on the classification, and drive is to the rear wheels via 6-speed sequential transmission. The weight of the cars, meanwhile, is down to just 2,690 pounds thanks to the extensive use of carbon fiber in the construction. 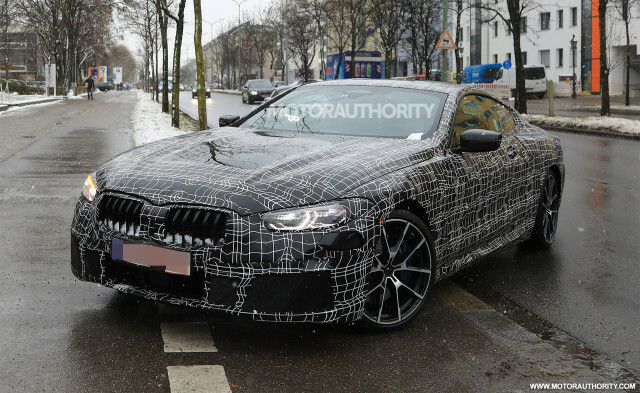 Even for non-motorsport fans, the M8 race car gives us our best look yet at the road-going 8-Series, specifically the M8 model, launching in 2018. This is especially true for the grille shape, lights and profile. As mentioned, the competition debut for the M8 GTLM is the 24 Hours of Daytona, which runs the weekend start January 27. The M8 GTE’s first race will be the 6 Hours of Spa-Francorchamps next May. The race is the season opener for the new 2018/2019 “super season” of the WEC. Here's how the new PlayStation 4 compares to the original! After Math: To infinity… and Taiwan!